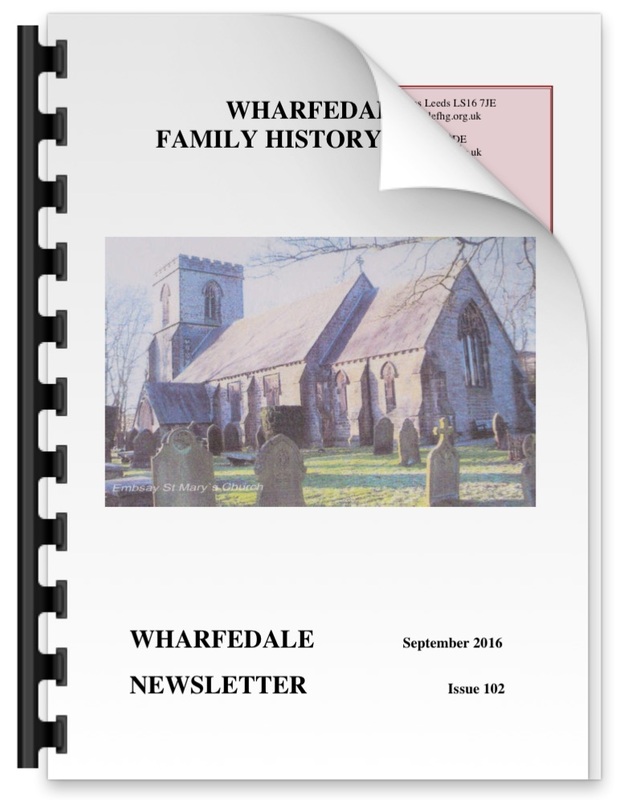 The Wharfedale Family History Group has just launched its revamped website. Designed by member Stephen Miller the site now gives the searcher far more options in finding out more about their ancestors. For example, it includes a vast database of well over one hundred War Memorials and Rolls of Honour. A message to all our eJournal subscribers. The journal has now been uploaded to the website and is available for download from the Members Area. The Wharfedale Family History Group are commencing a new project and looking for volunteers to assist. We are transcribing the burial registers for Otley Municipal Cemetery. The burials are contained in 11 registers, which cover approximately 18,000 entries from 1st April 1862 to 17th January 1992.